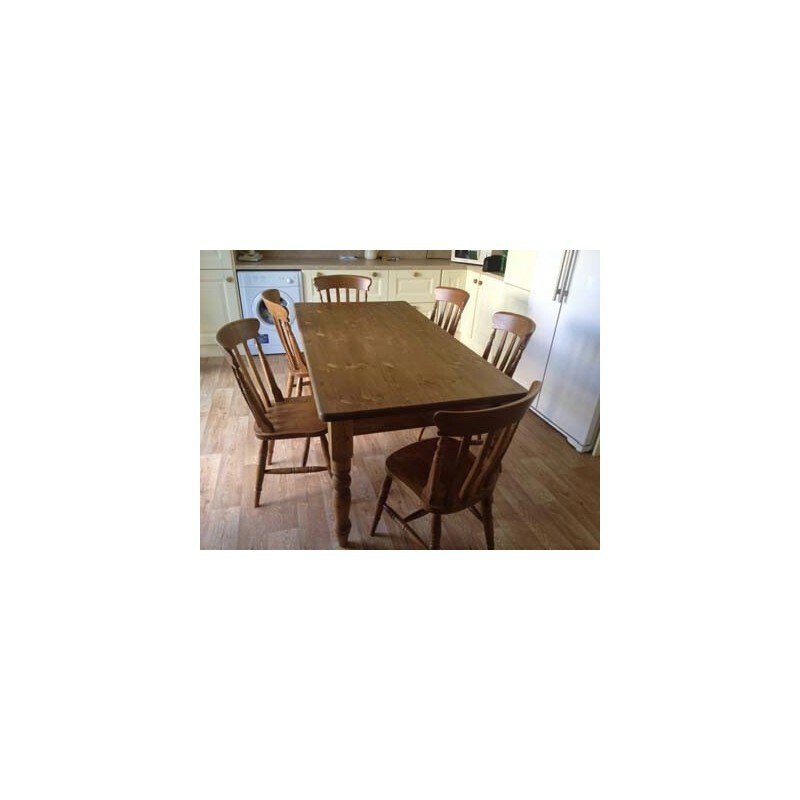 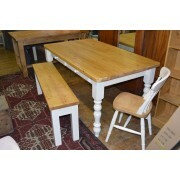 This traditional classic farmhouse table has all the style and look of real country kitchen table. Our best seller, with it's thick top (1 1/2" 38 mm) and strong, thick & sturdy (3 1/2 inch 90 mm) turned legs. 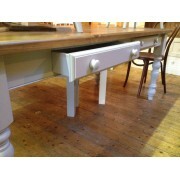 You can add up to 4 drawers with this table for great extra storage, if so required. 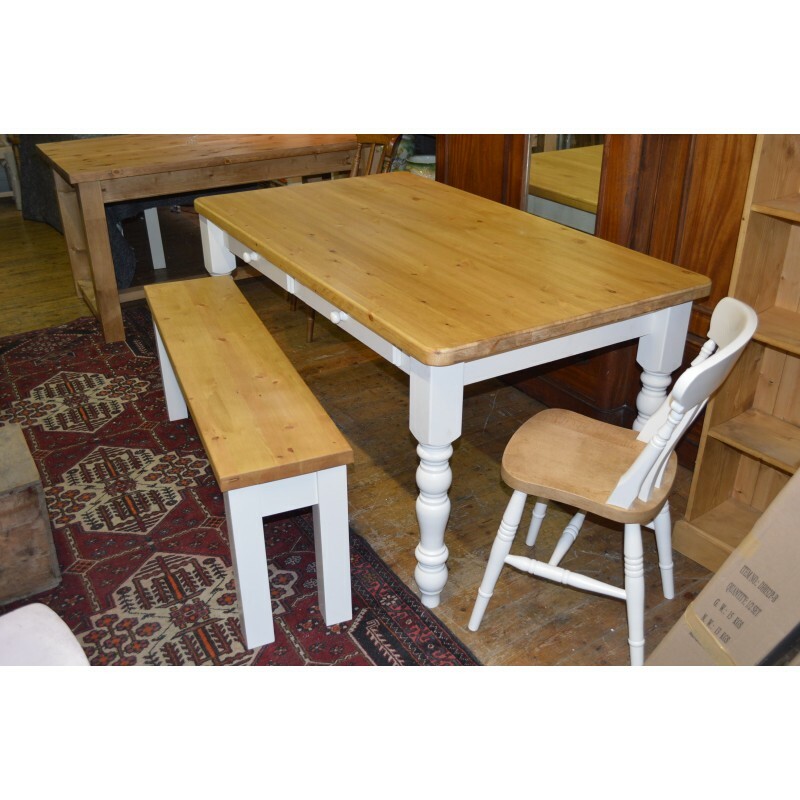 If you need to extend your table from time to time, we can also add extension leaves to either or both ends of the table. 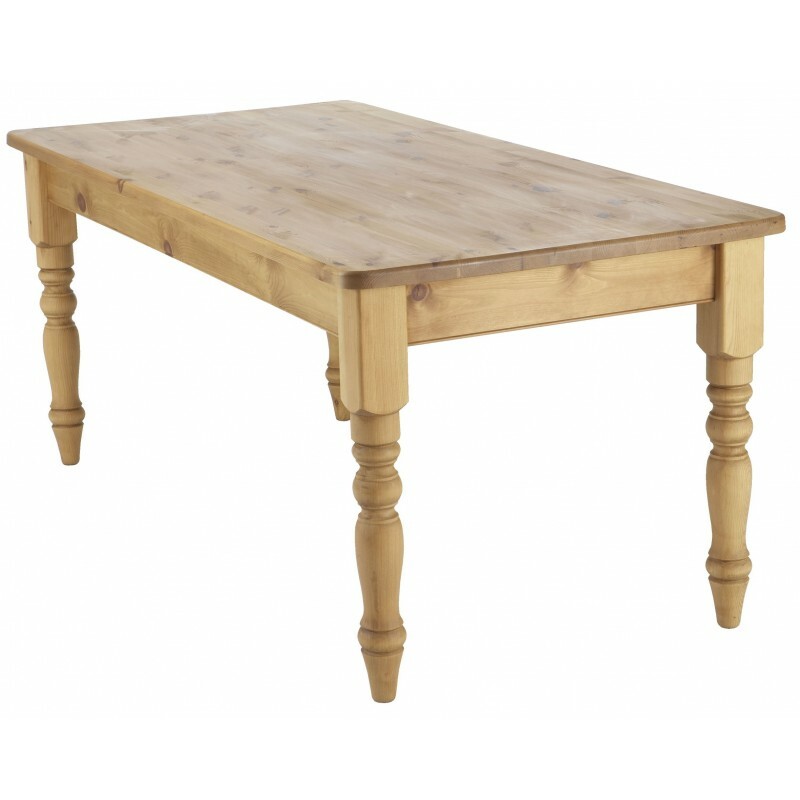 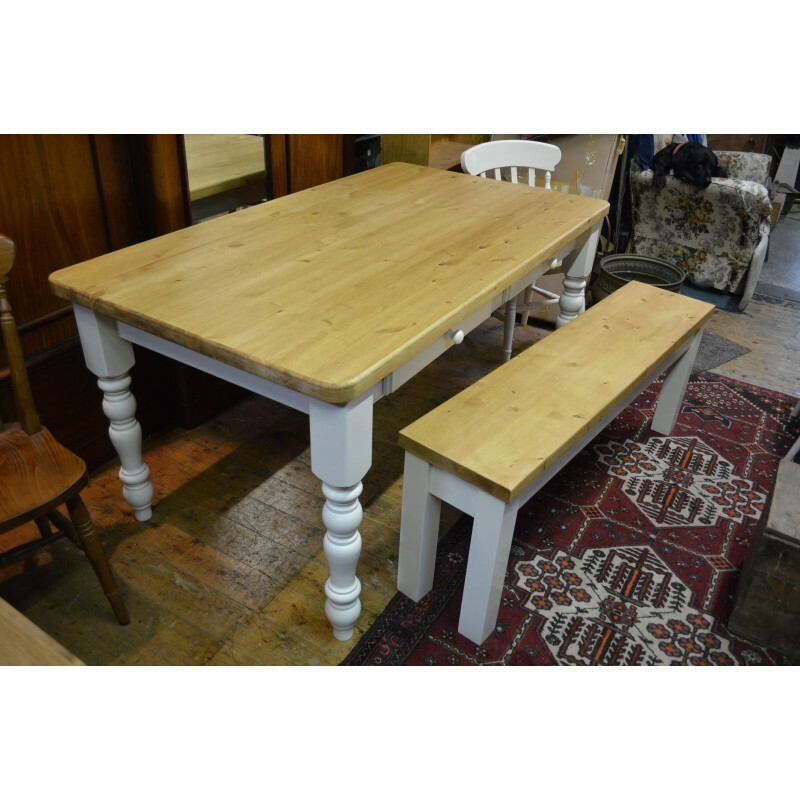 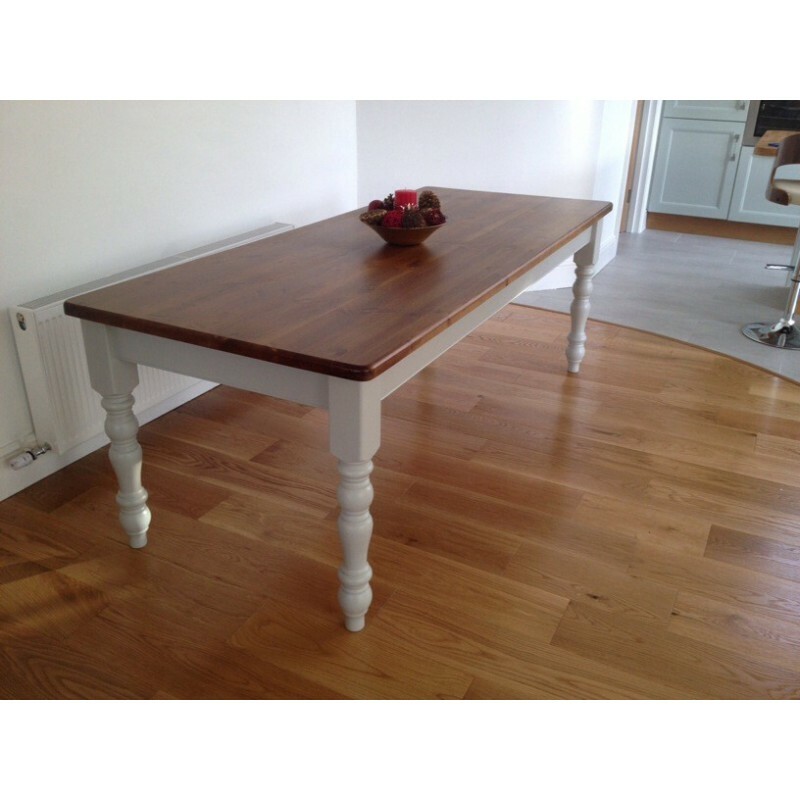 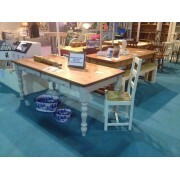 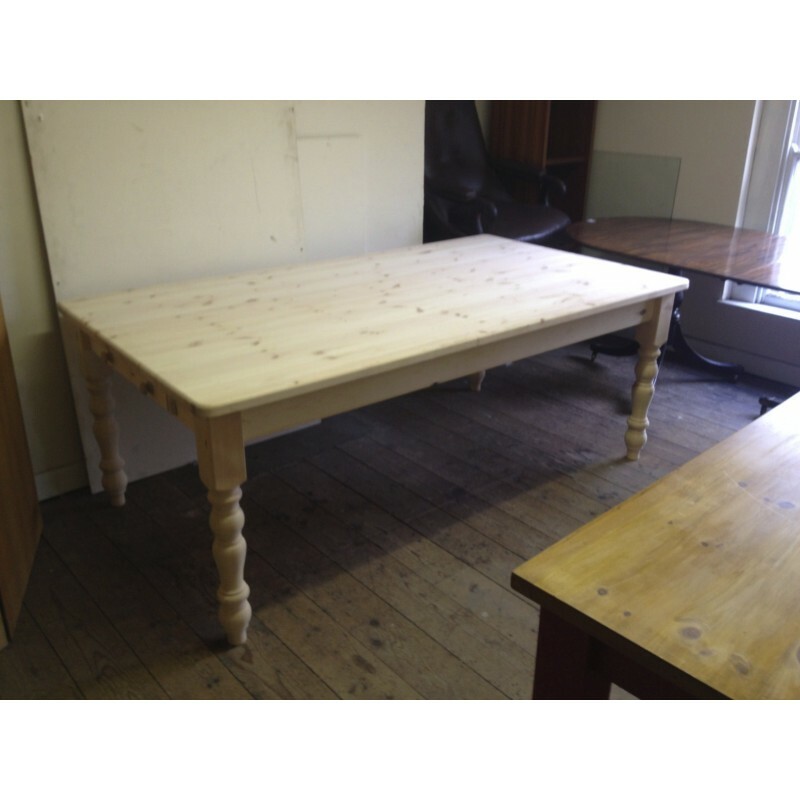 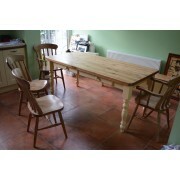 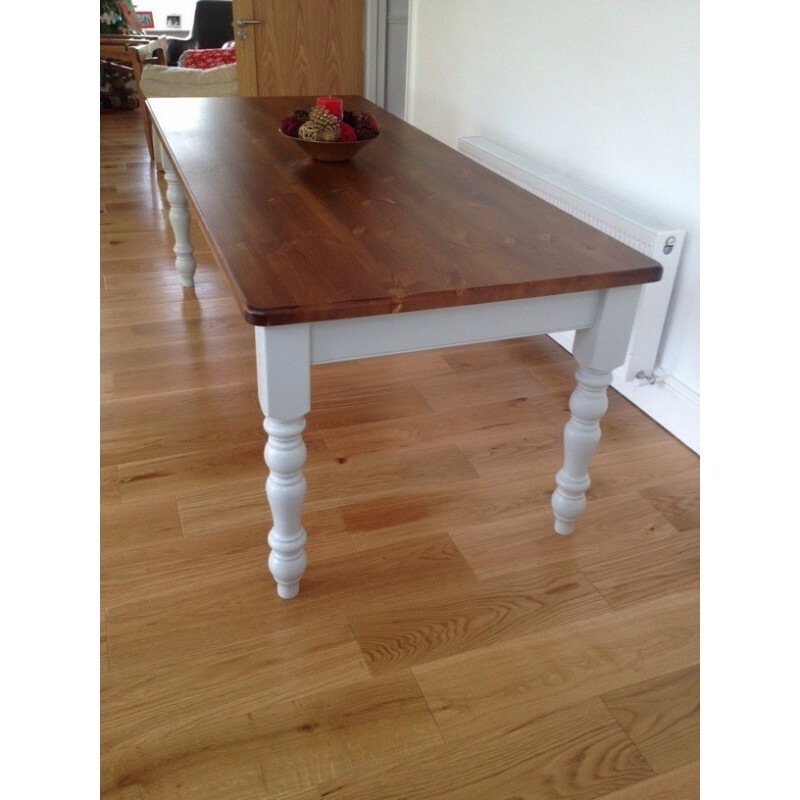 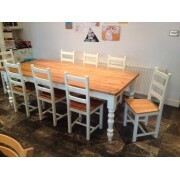 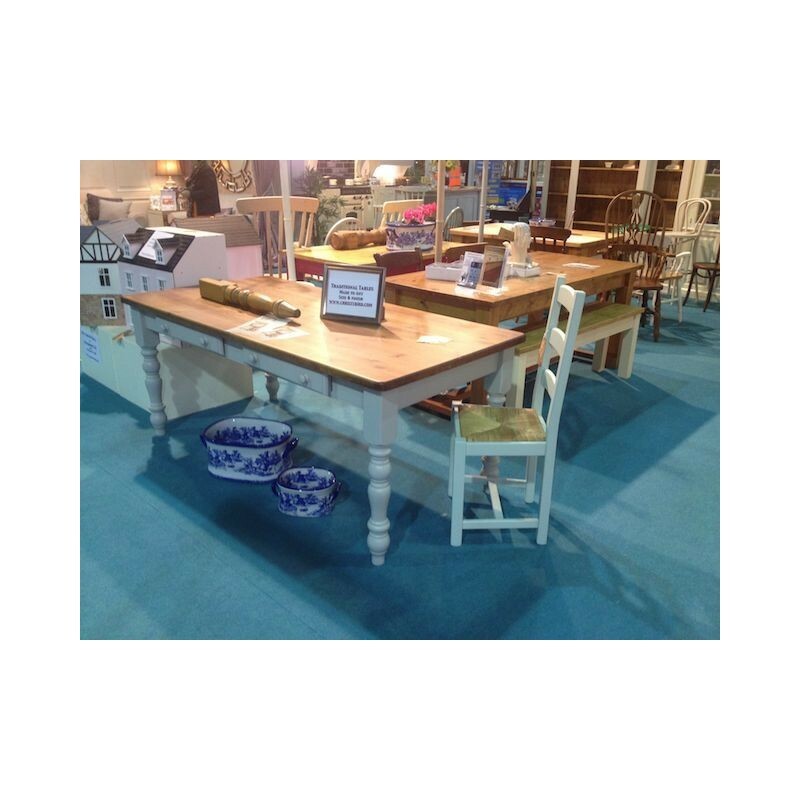 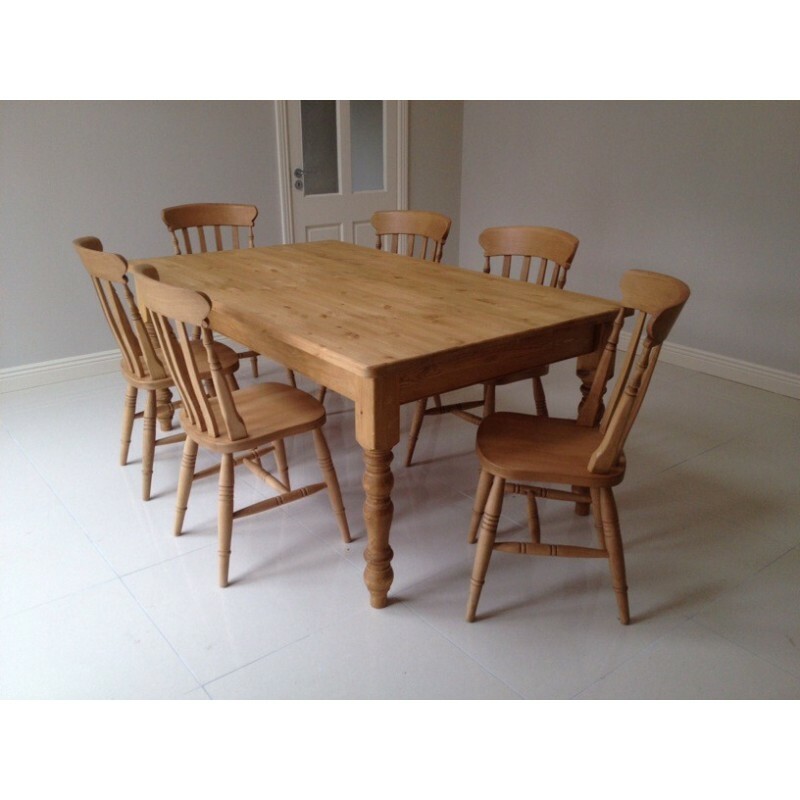 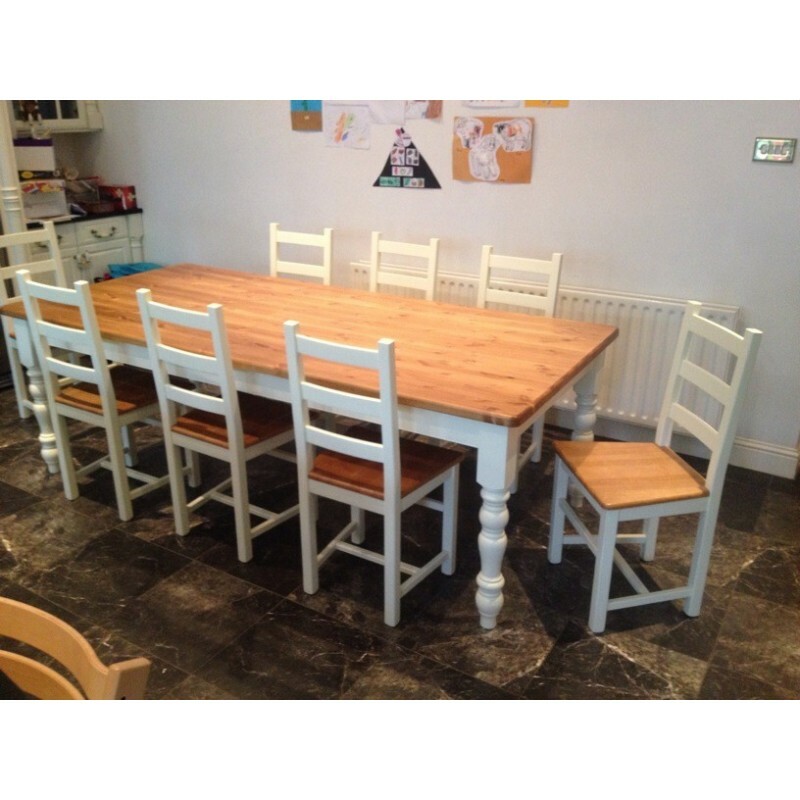 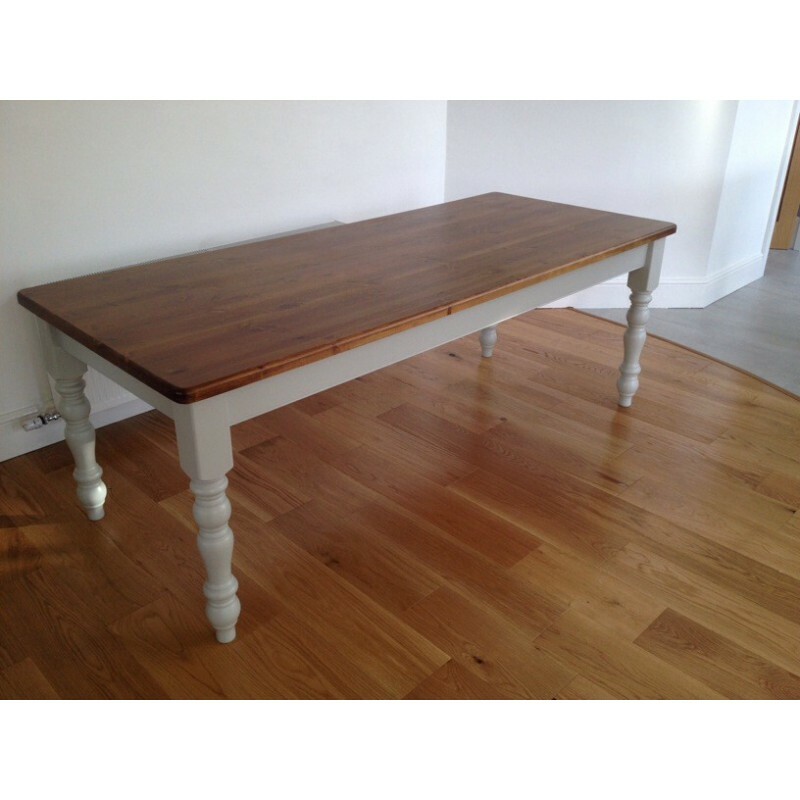 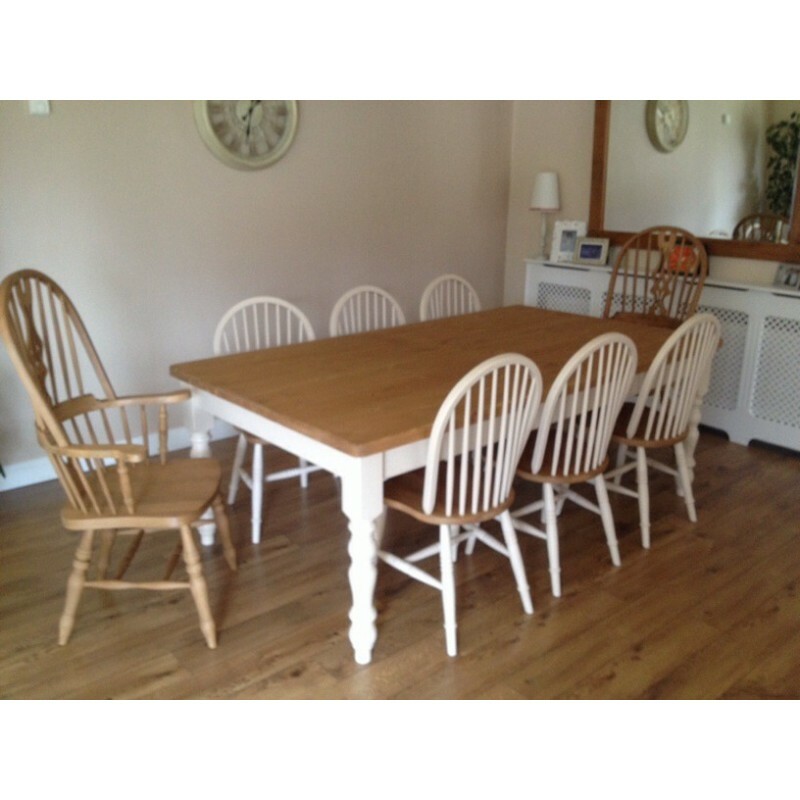 Made from solid pine this table is available in a variety of different finish & can be made to any size. 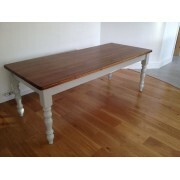 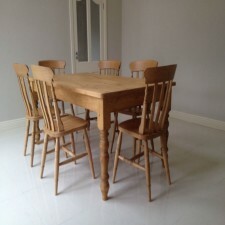 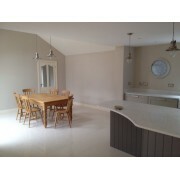 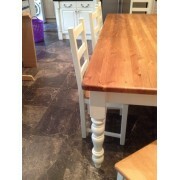 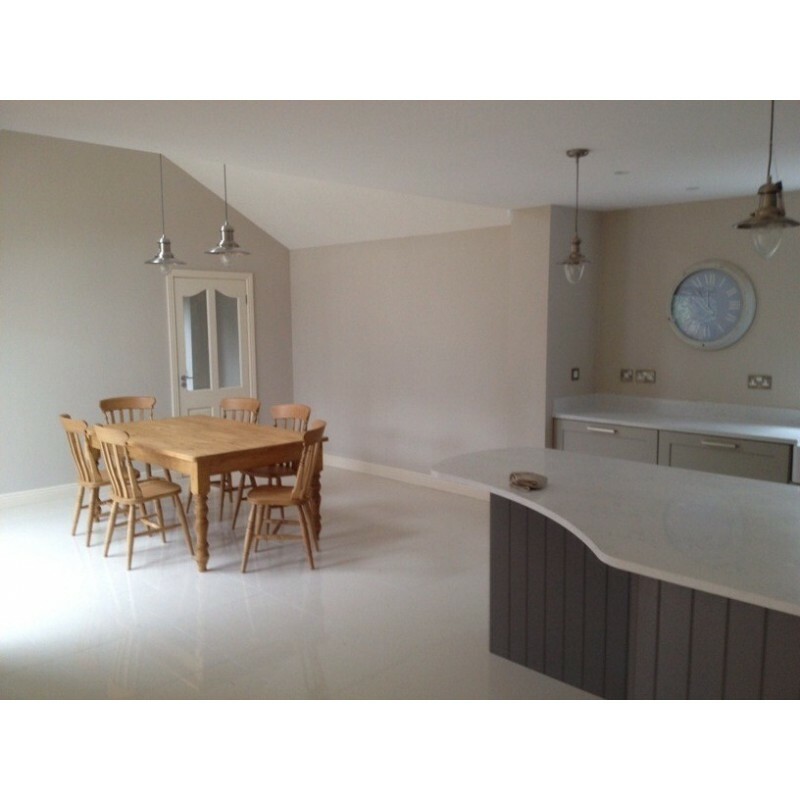 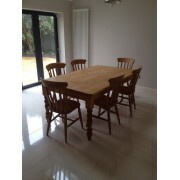 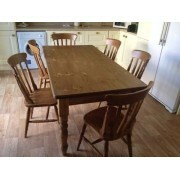 We can also make a solid oak top for this table(Contact us for price). 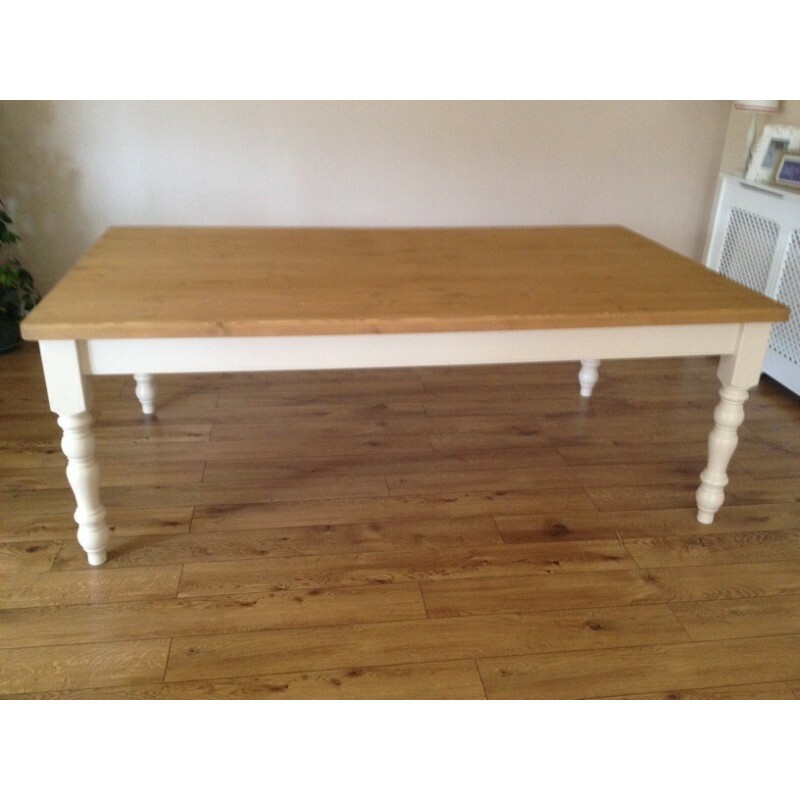 This Table Can be made to Any Size, below are standard sizes. 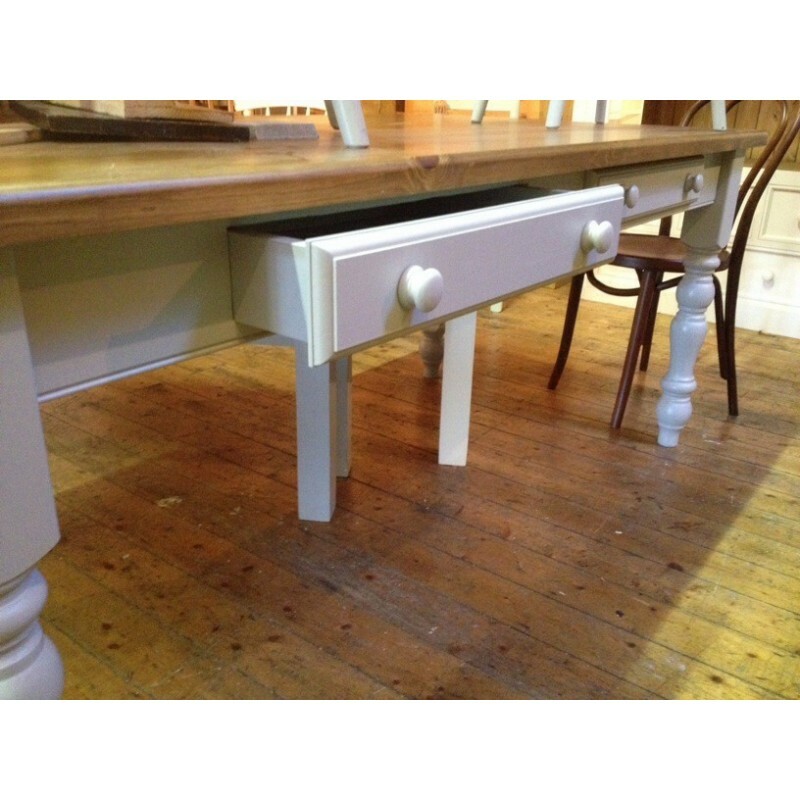 We make all our tables to order, so you decide the size..
Drawers possible for this model.